الخيار الأفضل للحصول على المتعة والاسترخاء، بروكلاندز أوف مورنينجتون يقع في منطقة رائجة من أفضل مناطق المدينة. لا يبعد الفندق كثيراً عن مركز المدينة، فهو يقع على بعد 0.5 km منها. في حين يستغرق الطريق منها إلى المطار حوالي 60 دقيقة. يضفي محيط الفندق اللطيف وقربه من أكثر المعالم السياحية جذبًا سحرًا خاصًا على هذا الفندق. إن الخدمات الممتازة وحسن الضيافة العالي في بروكلاندز أوف مورنينجتون تجعل إقامتك تجربة لا تنسى. يمكن الاستمتاع بمجموعة من الخدمات على أعلى المستويات في الفندق كمثل واي فاي مجاني في جميع الغرف, معبد, خدمة التنظيف يوميًا, مدفأة, خدمة غسيل ذاتية. لقد جهزت هذه الإقامة الفندقية بعناية فائقة لتوفر مستوى عالي من الراحة. في بعض الغرف يجد النزيل اتصال لاسلكي بالإنترنت, سياسة التدخين - غرف لغير المدخنين متاحة, مكيف هواء, مكتب, ميني بار. يقدم الفندق مجموعة رائعة من الخدمات كمثل مسارات المشي الطويل, جاكوزي, مركز للياقة البدنية, حمام ينبوع ساخن, مسار جولف - ضمن 3 كم، لجعل إقامتك تجربة لا تنسى. إن بروكلاندز أوف مورنينجتون هو خيارك لخدمة الفنادق الراقية في المدينة. يُطبق على كافة معاملات التي تتم من خلال بطاقتي الائتمان أميكس وداينرز رسم إضافي نسبته 3%. 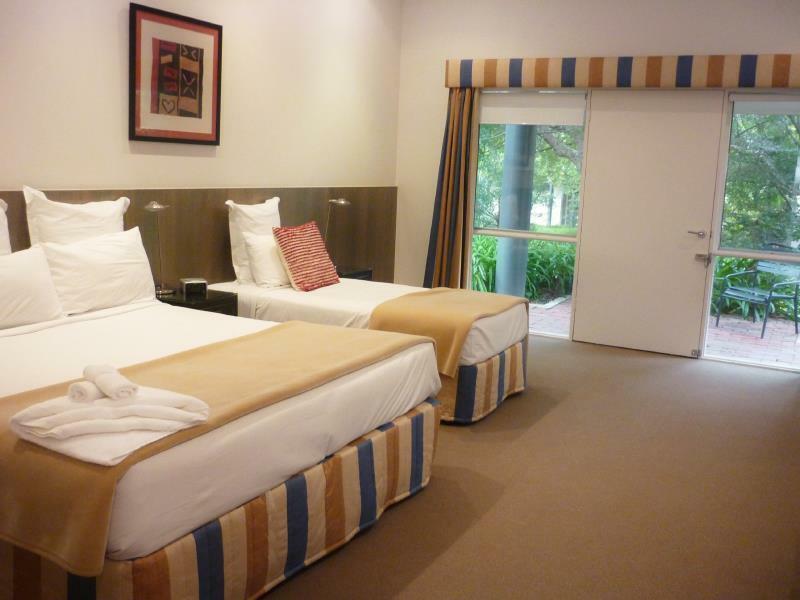 Excellent room, comfortable bed, effective airconditioning, spacious room, good shower in bathroom. Only downside was the breakfast. Limited options. Scrambled eggs had lots of butter, but not many eggs. I had to wait for refills for both the eggs and hash browns. Thank you for taking the time to comment. As Breakfast is offered free for our guests, we are sorry to hear you were disappointed. We do wish you a wonderful Christmas and look forward to seeing you again in the New Year. Really liked the Brooklands. Great layout of the hotel. Super comfortable bed, clean and cosy. Power point next to the bed to charge the phone - a pre-requisite these days that is so often overlooked. Shower was terrific, strong and hot but could do with a bit of a scrub around the door at the bottom, there was black mold. Breakfast was a delicious buffet - really enjoyed that - well done. Where it went wrong for me was the adjacent room; noisy neighbour up at 5am guffawing and talking so loudly I could hear it through the wall, it woke me up and kept me awake. Went on for about an hour. Given the motel didn't look too busy, why accommodate guests directly next to each other? Why not leave a room in between? Would solve that problem straight away. After all, a hotel for travellers is mostly about getting a good night's sleep which in this case, sadly, wasn't the case. Nice hotel though. Thank you Karl for taking the time to provide your feedback. Unfortunately we cannot predict the behaviour of any guest. We rarely have noise complaints at the property, even road noise. Generally each night is peaceful here. The room type booked by each guest will determine the room allocation for that day. We have 4 different room types on the property and do our best to allocate the chosen room types to see all guests are comfortable during their stay. All we can do is apologise for their behaviour and hope that next time you stay with us the neighbours are more considerate. We do have on site management to handle these situations if they arise, so please do not hesitate to alert them to this behaviour if it happens in the future. We are happy to hear that you enjoyed other aspects of the property and look forward to welcoming you again. Thank you Peter. We appreciate you providing your valuable feedback and look forward to welcoming you back again. The room was large, well appointed and very comfortable. Reception staff were exceedingly helpful. The hotel consists mainly of small, private villa type units spread out over a big area. It was pleasantly landscaped with many plants. We dined at the restaurant attached to the hotel where a 3, 5 or 7 course tasting menu was offered. The 5 course menu we had was excellent and highlighted the chef's attention to detail. We would definitely stay here again and would most certainly dine once again at the restaurant. Highly recommended. We found the accommodation comfortable. The bed was very comfortable which was great as my husband was running in the 2 Bay Marathon. He also found the pool and spa excellent for recovery. We found gentleman on the desk very helpful in letting us know what is interesting to see in the area. Brooklands is centrally located to town and the beach. The room was comfortable, clean and quiet ( I requested a quiet room as we had our 11 week old baby with us) and she napped and slept comfortably. Check in and out process was great. Thank you Janine, we hope to see you again in the New Year. Thank you Hannah, was lovely to see you again. We would have moved you but you back but you had already checked in and the only rooms available later were the large family rooms. When you re-book next time book the Studio rooms which are the ones your sister was upgraded to. We look forward to seeing you again. 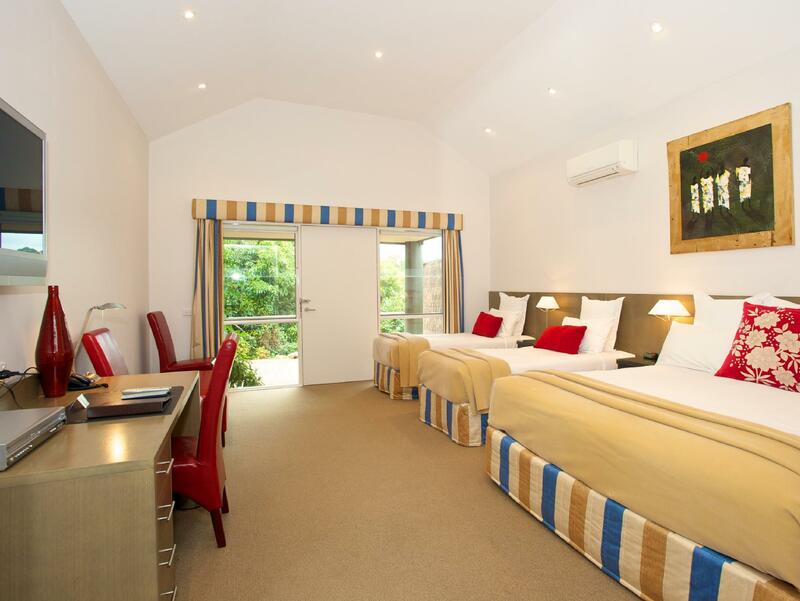 Beautifully comfortable and spacious bed, lovely clean room with all the basics. Breakfast at their restaurant is convenient and tasty. My only criticism would be that the iron is useless for ironing anything!! Needs more oomf! Otherwise we are always warmly welcomed and find it a great place to stay. We checked in late to the hotel as we spent a fair bit of time at the hot spring. The staff was friendly and assisted us promptly with the check in and directed us where to get late dinner. The room is comfortable and spacious with a big bathroom too. 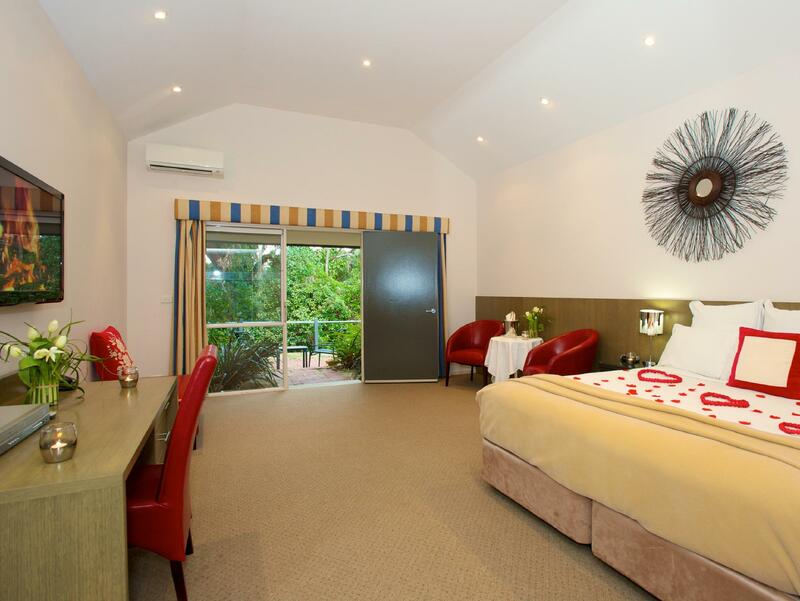 Definitely a place to stay to recommend for those visiting Mornington Peninsula. the experience was in fact better as seen from the pictures illustrated. Hotel room was big, with comfortable bed and pillow. parking lot was directly in front of your hotel room as it help us to move our luggage around easily. Staffs are very polite. They upgraded my room to deluxe spa for foc. Great facilities. The restaurant there (eighteen78) has a great and reasonable price fine dining. Room are comfortable and nice, clean. I will stay there again if I travel at Mornington. 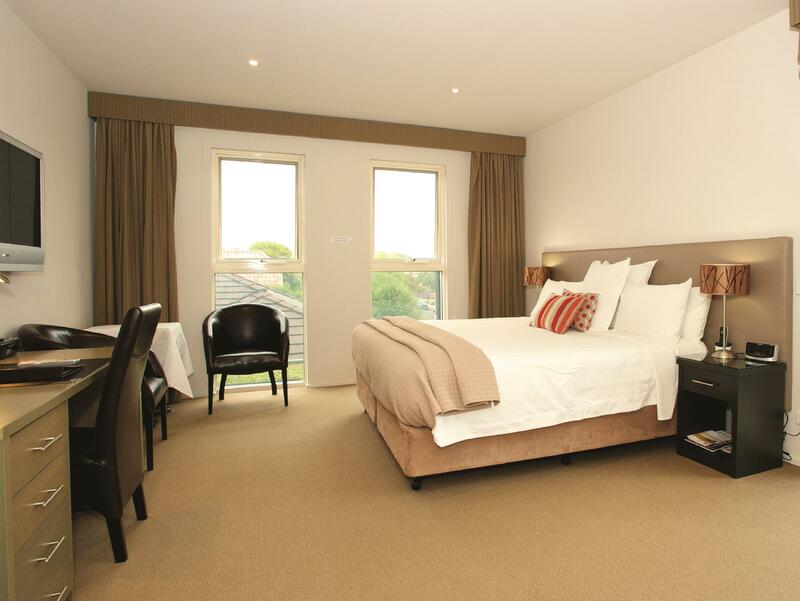 The rooms are clean and of high standard. It's comfortable and good value! We stayed here for 2 nights. We have 3 children between 7 and 13 years of age. They all loved the pool and the breakfast included. 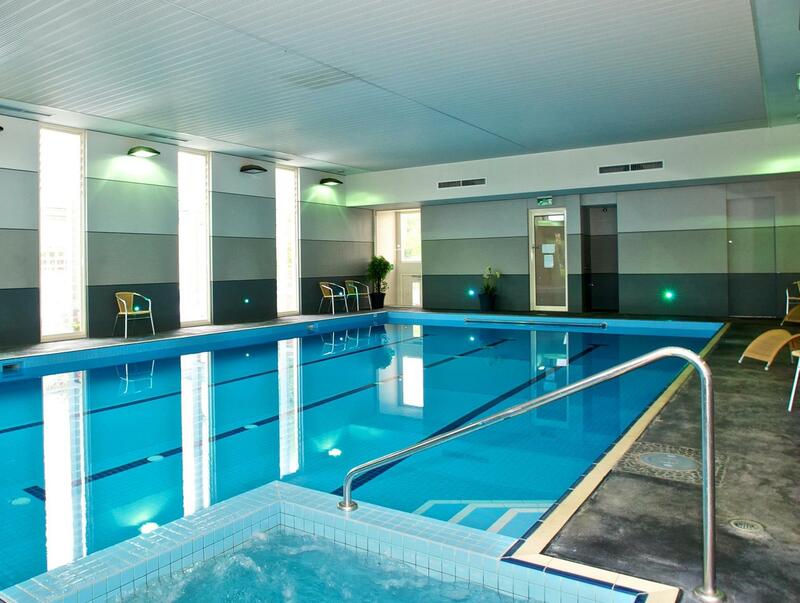 It is of great value compared to other hotels in the area. The property is so well kept and is only a short distance to Main Street. I will definitely stay here again if I come back to Mornington. We were travelling with a young boy, and chose Best Western Plus because it had a family room with 2 double beds. Check in was efficient and the guest service officer, Leanne I think, was friendly and vey helpful. It was a rather warm welcome on a drizzling day. Location wise, it was quite good... 2 streets away from the town centre but in a quiet neighbourhood - I think there were a few elderly facilities... but that also meant a pleasant area. There was a gym and a heated pool... would have loved to use them but we did not have the time. They looked inviting though. Breakfast was good (we included that) it was continental with an option to top up to a hot meal. Perhaps the only downer was the kettle which looked like it needed a more frequent decalc... but Leanne was very good about swopping it out for us. 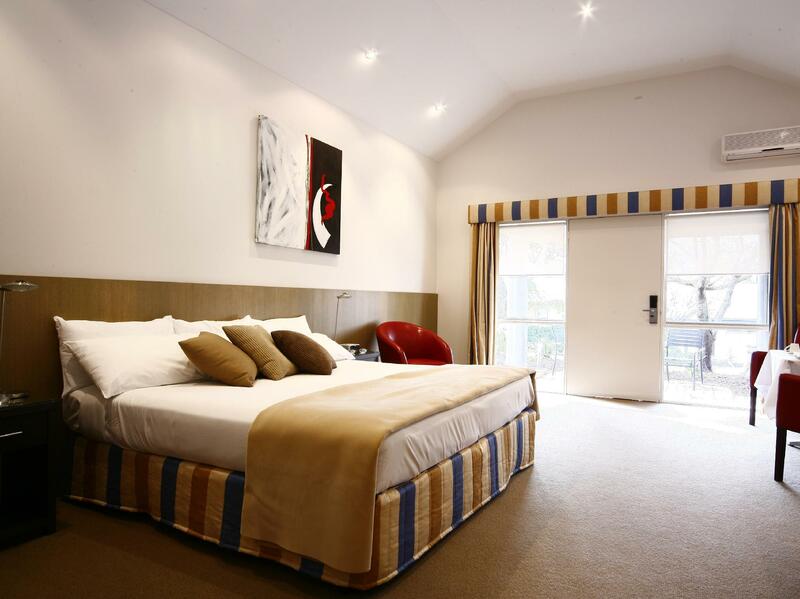 At another hotel, we were told that "we are only a 4-star hotel"... a good option in Mornington proper and especially if the twin double bed made sense. Cleanliness of the hotel and room. Comfort of the room. Distance to main street. The stay was wonderful. It accomodated all four of us easily and was within walking distance to the main street. It was quiet and peaceful. We utilised the gym and that was a bonus. It was clean and the staff were friendly. comfortable spacious unit with heated mattress. (Prolly a great idea in this region in winter) air con is abit dated noisy, but doesn't really bother us. centralised location for those who wish to explore the peninsula region .. Rooms OK but walls very thin and music playing in the next room very disturbing. Occupants refused to turn it down and management said they couldn't do anything about it. When asked to move room management said it would cost $230 on top of amount already paid. Hello John, Reception did call the room to advise other guests of the disturbance, and being through the day time is difficult to govern. Yes the only other room available was a large family room hence the price difference. But it was offered at the time. The room you had that night was a free upgrade from your original room type which was an older style room. We hoped this would have been to your liking. We do hope to see you again. Great value. For money. Room was spacious and the Bed was incredibly comfortable. Every one of the staff we encountered were very helpful and friendly. Thank you Teresa, we appreciate your feedback and top score and look forward to seeing you again soon. Happy to recommend it to anyone looking for accommodation around the Mornington area. Thank you for your lovely feedback. We hope to see you again soon.